AlgaLab™ Complete Omega TG EE is a unique triglyceride-form blend of AlgaLab CEPA EE and a DHA rich oil from Schizochytrium sp. 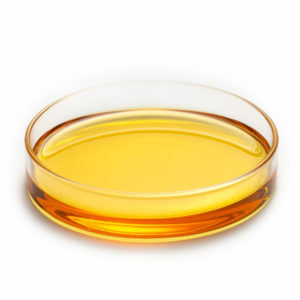 This clear, golden oil contains ≥45% Omega-3 [67% DHA, 33% EPA] presented primarily as triglycerides. AlgaLab Complete Omega TG is a more potent, vegan alternative to fish oil derived triglyceride oils. Specification rTG EPA from Nannochloropsis salina blended with TG DHA from Schizochytrium sp. AlgaLab™ is a trademark of Lyxia Corporation.